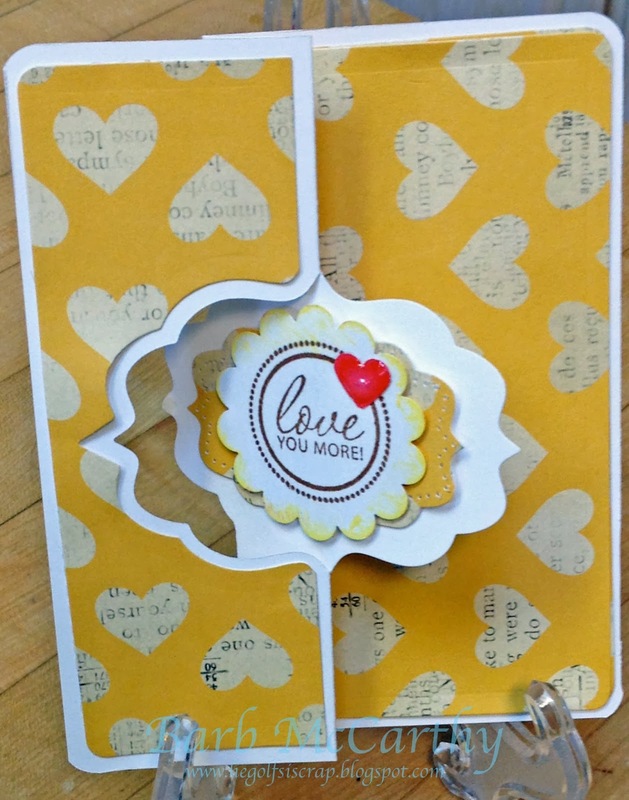 Here is a Valentine using a Sizzix flip-it die! I love this paper from the Lucky Charm collection by Dear Lizzy for American Crafts. The Unity stamp is from the Family Dynamix set. LOVE your creative card. Thanks for the inspiration. Beautiful card. I love the design. This is gorgeous. Love the flip, love the yellow, love the sentiment. I love flip cards and I think they bring a fun element to the recipient. I also love the bright cheery paper you chose. Awesome. This is so bright and cheerful! Very nice! Wonderful flip it card! Love the yellow, great Valentine! Gorgeous flip card!! I love the yellow and the sweet sentiment. This is so cute! I love that sentiment paired with the bright paper! This is very cool and so pretty. Great design. Happy New Year. Fun card fold and dp, Barb.